oh I came across this cake a while back thanks to a site you had referred to &amp; I think I can say it is the most beautiful cake ever in my eyes!!! That cake is so gorgeous! Almost a shame to cut it up, but then who could resist eating it! Oh What a beautiful cake. Seems ashame to cut it. 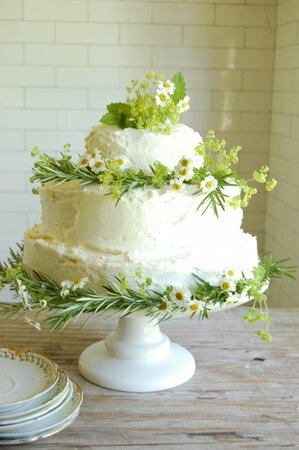 that cake is so pretty…i love the fresh flowers.